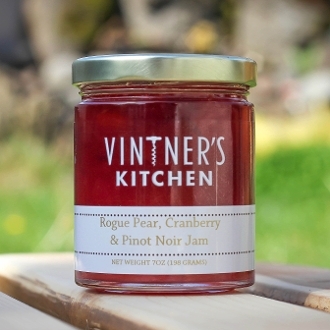 Try our Rogue Pear, Cranberry & Pinot Noir Jam on a warm muffin, nutty scone or crepes. Also, try it for dinner as a glaze on roasted pork and sweet potatoes or salmon. This unique jam combines the flavors of almonds with pears and cranberries.